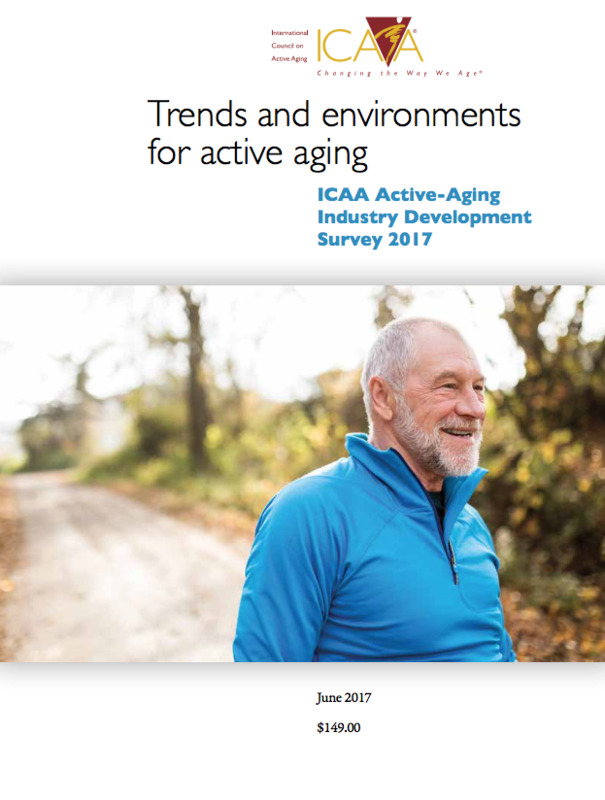 ICAA Active-Aging Industry Development Survey 2017 is the fourth iteration of the development survey, which is tracking the industry every two years. The information is used by organizations whose mission is providing for the 55+ population and by the manufacturers and service companies that supply the industry. The goals of this 46 page development survey are to: --define the physical plant and amenities available in organizations; --determine the priority of wellness lifestyles; --uncover purchasing patterns and needs; and --collect trends and perspectives from the leadership and staff . 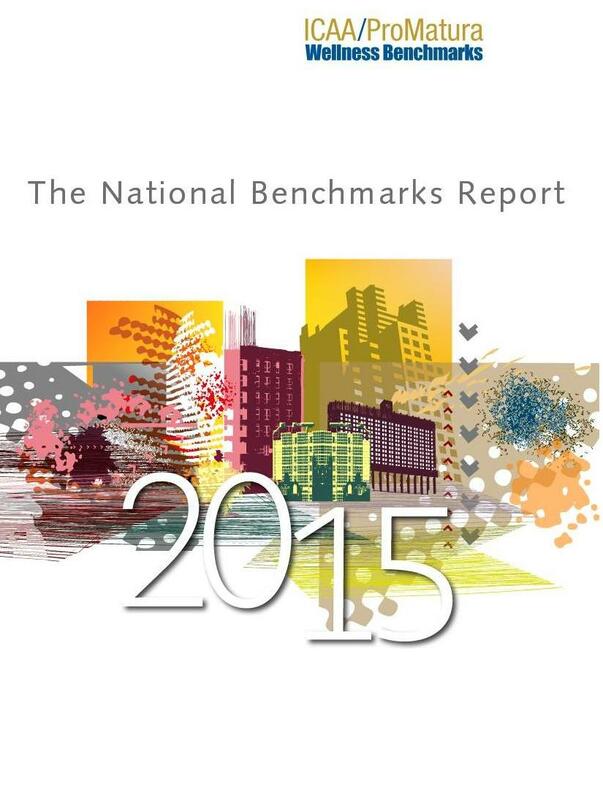 This is an excellent report for those seeking to be informed about industry development trends. A research report demonstrating the connection between wellness lifestyles and customer satisfaction in senior living. Build the business case for lifestyle/wellness (activities/engagement, fitness, recreation) using the data supplied by 73 continuing care/life plan communities and 26 communities offering independent living or both independent living and assisted living. Discover how participation in wellness programs impacts residents' satisfaction with their quality of life at the community, length of stay, the value they receive and their self-rated health, along with the influence of a staffed wellness program on move-ins. 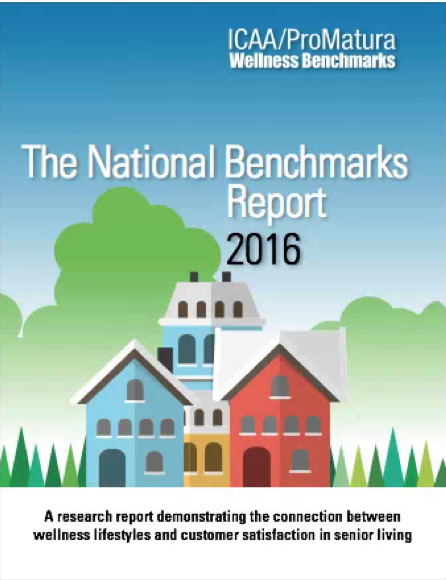 Gain insight into the metrics of wellness lifestyle programs and the opinions of 2,938 residents on the program and community with information gathered by 62 continuing care retirement communities (CCRC) and 24 independent living or independent plus assisted living properties. The definitive guide to the roles, responsibilities and compensation of wellness staff working with older adults, the Salary & Benefits Survey 2015, sponsored by Precor, includes input from 17 positions, ranging from senior managers through directors, coordinators and instructors, and compensation for 11 job titles. A special section reports on the attitudes of workers toward their jobs. The survey includes the 36-page Industry Report and the 84-page profiles of key positions: wellness, activities, fitness and programs. 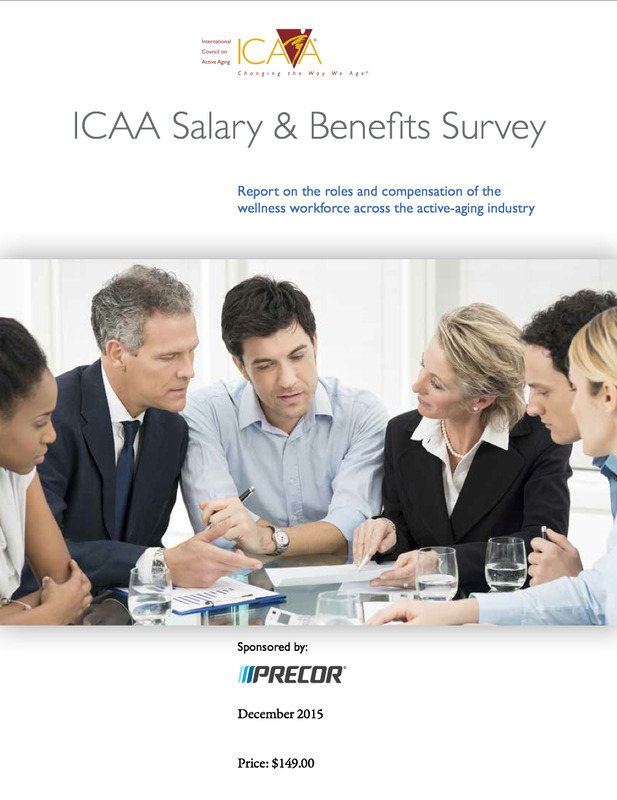 Gain a high-level view of the roles, responsibilities and compensation of the wellness workforce in this 36-page summary of all job titles included in the Salary & Benefits Survey 2015, sponsored by Precor. Hear from professionals in 17 positions, ranging from senior managers through directors, coordinators and instructors, and find the compensation for 11 job titles. A special section reports on the attitudes of workers toward their jobs. These profiles provide detailed information on the responsibilities, education, compensation and attitudes of staff, along with their attitudes toward their colleagues and workplace, in four wellness areas: Activities, engagement, lifestyle director and coordinator; Fitness director, coordinator and trainer; Program manager; and Wellness director and coordinator. Places of work, estimated functional ability of clients, experience and tenure are included.